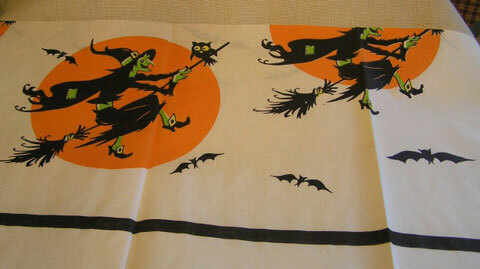 I am selling these are two old 1950’s Halloween paper tablecloths as a pair. The first measures 54 by 104 inches and is in mint condition with no rips or holes. It was made by the Reed Company of Williamsport, PA. 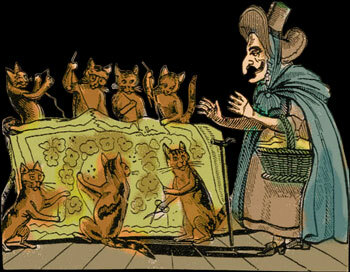 The litho of the witches on their brooms decorate the edge only and the image is approx. 9 by 8 inches. 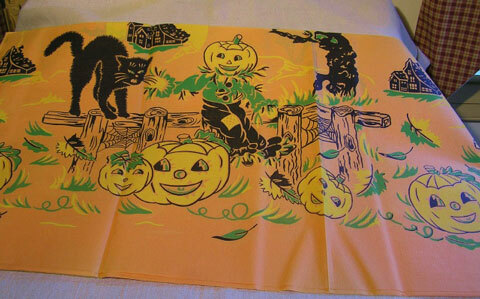 The second is a tri-color litho scene of black cats, pumpkins, houses and a menacing tree with bats. 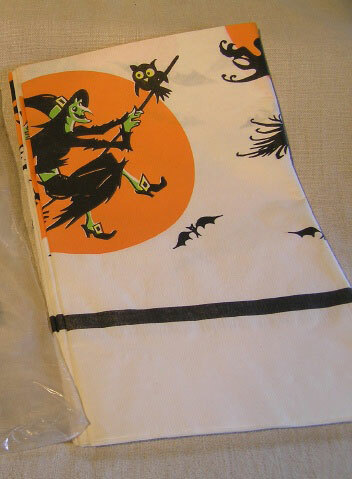 It is in excellent condition and measures 54 by 104 inches, as well.